Kung Hei Fat Choi! Gong Xi Fa Cai! Ahh, whatever! I am a Filipino, proud to be one! But I love Chinese foods (the same way I love Filipino dishes) so the restaurants my friend and I visited are usually Chinese restaurants. Aside from their foods being flavorful, they are usually affordable too, that's why we love them (kurips are us! haha). Anyway, last Thursday (Chinese New Year), after around four hours of waiting for my washing machine to be checked up/serviced, we went to Banaue for our late lunch. We were supposed to have our lunch at home but 'twas past 12 noon we decided to eat out rather than prepare some homemade dishes. 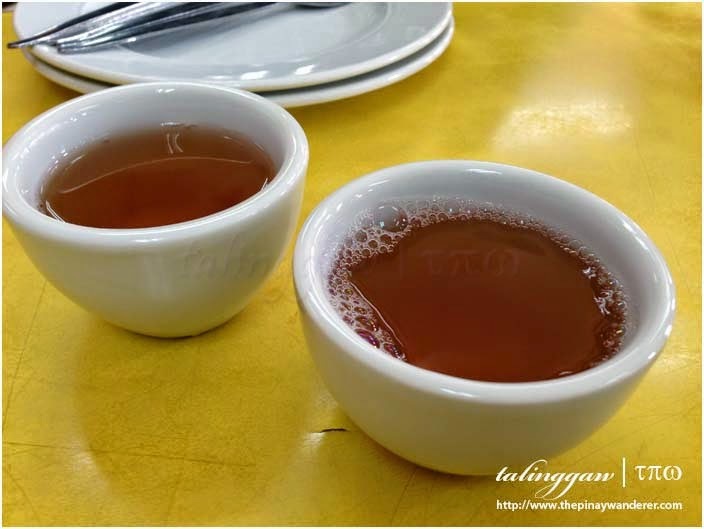 My friend suggested Lam Tin Tea House for its affordability and large servings. So off we went to Banaue, from FAR-view (Fairview hehe), that is. As expected, the restaurant is full when we got there (it's Chinese new year, it's almost 1:00PM (peak hour) so what else to expect). But what was unexpected is the quick turnaround of customers. People, mostly Chinese or Tsinoy, went there for lunch, order their foods, eat them then out on to their next activity/destination, they don't stay longer than necessary (at least that's how it looks to me that day). But it may also be because the restaurant's staff are efficient (or afraid? haha :P because the manager/owner and his sons are on the premises assisting and welcoming customers). Anyway, for our lunch we ordered salted fish and chicken fried rice, buttered chicken, hototay soup, pechay in garlic sauce and my friend's favorite: halo-halo congee (not in photo); regular iced tea for me and bottomless iced tea for my friend. Our orders were served after around 10 - 15 minutes. Not bad on peak hours. 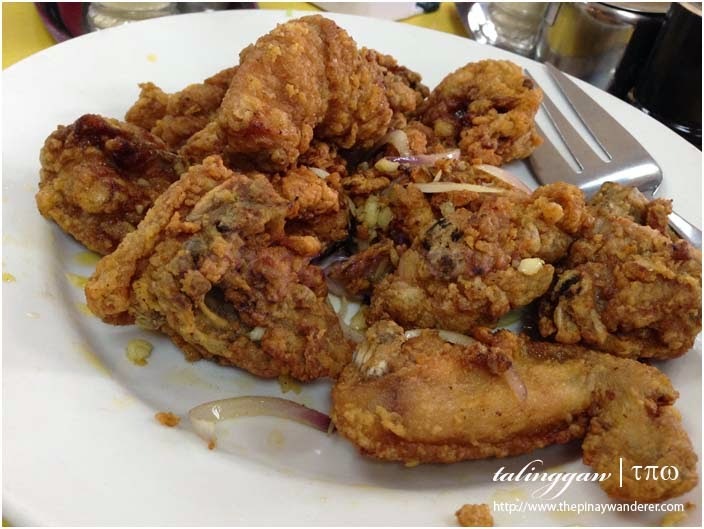 Buttered chicken - flavorful and not too oily nor salty; crispy outside but tender and juicy, too. Enough for 2 persons and I would say reasonably priced, though this one's the most expensive we had that day. Hototay soup: I asked the restaurant staff for any soup that's clear and this the only one they have, hototay. 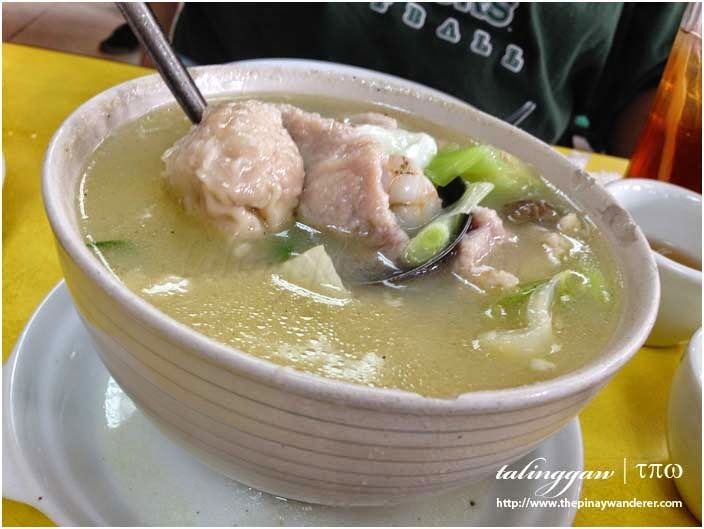 Unlike the hototay I'm used to (from our fave neighborhood resto), this one's more of meat (pork slices, meat balls) rather than veggie soup; with several shrimps, too. For only 140 Php, this is definitely an affordable add-on, if you're fond of soups to go with your meal. 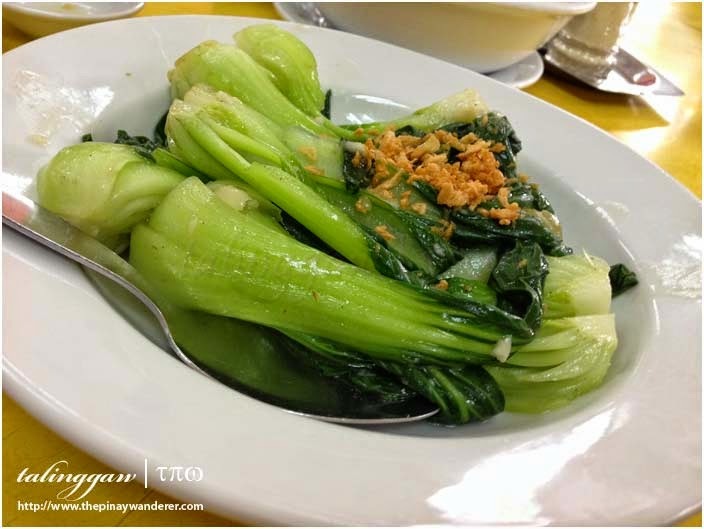 Taiwan pechay in garlic sauce: Aside from being a seafood lover, I also love veggies. But this one's not on their menu. My friend noticed it from his previous visit so he asked the staff for it and we were told it's Taiwan pechay. We ordered for it without knowing its price so when our bill arrived, I noticed the bill says 'broccoli flower' priced at 200 Php. A bit pricey for a pechay, right? Broccoli is more expensive than pechay, if I'm not mistaken. Oh well, veggie I want, veggie I got, special order so never mind. 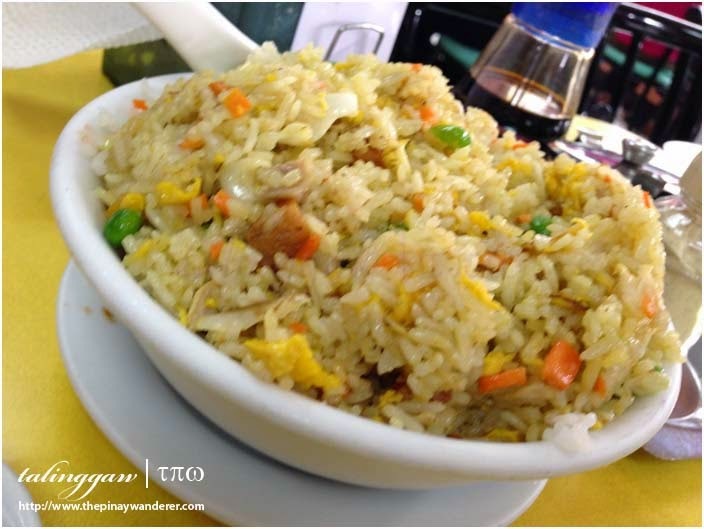 Salted fish and chicken fried rice (first photo above): this one's a must try! It looks small serving in the photo but don't be deceived, it's good enough for two persons. And it's very flavorful, with lots of chicken chunks too. For only 105 Php, it's definitely cheaper than the salted fish fried rice from the other restaurants we've tried. Halo-halo congee (not in photo): I only tasted a spoonful of the congee but it's okay, more like the congee we're used to from Luk Yuen, only cheaper; 115 Php compared to Luk Yuen's 180 Php. 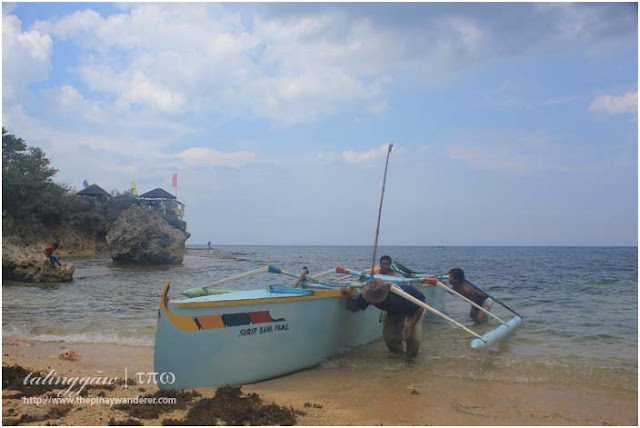 Thank You for sharing Ms. Pinay wanderer :) . Giving idea to your reader's really help .